Crystal gazing: Marc Faber Ltd managing director Marc Faber. 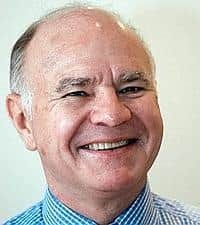 New York: The Federal Reserve (Fed) acted “like a bartender" in lowering interest rates and its actions are contributing to a stock market bubble in the US, investor Marc Faber said. “Each time you bail out, it becomes bigger and bigger, and the credit problems become much, much larger," said Faber, managing director of Marc Faber Ltd and publisher of the Gloom, Boom & Doom Report. The Fed “feeds its customers with booze, and when they get totally drunk and are about to fall off their chairs, the bartender gives them more booze to keep them going. One day, it will lead to the ultimate breakdown." The Standard & Poor’s (S&P) 500 index has risen 2.9% since the Fed cut its benchmark rate by half a percentage point on 18 September to keep credit market losses from spurring a recession. Faber said the action spared US financial companies such as Citigroup Inc. from the consequences of bad lending ­decisions. The biggest US bank’s shares dropped 12% last week after saying credit defaults will plague the financial industry for the rest of the year. Citigroup spokesperson Shannon Bell declined to comment. “The best for the system would be if a major player would go bust," Faber said. “Then there would be an example for investors and for the players, the Wall Street establishment, the banks, to be more prudent." He said this year’s rally in Chinese assets, including the 171% gain in the CSI 300 Index, will end by the August 2008 start of the Olympic Games in Beijing. He predicted that India’s stock market gains will end by the same time. The Bombay Stock Exchange’s Sensitive Index has climbed 34 % this year. “We still have the emerging markets going ballistic," Faber said. “The Chinese market could double here, but it doesn’t change the fact we are already in bubble stage." Faber said if bubbles in emerging markets deflate, the dollar may rebound from all-time lows against the euro as fund managers, who have invested in emerging markets, invest in the US. In November 2005, the European Central Bank had raised its key interest rate eight times to 4% from 2%, a “more responsible" policy than the Fed’s, Faber said. Faber had told investors to bail out of US stocks a week before 1987’s so-called Black Monday crash, according to his website. In 2005, he had correctly predicted that stocks would make little headway that year. The S&P 500 gained 3%. He had also told investors to buy gold in 2001, before it more than doubled. On March 29, Faber said the emergence of home loan concerns meant the US stock market was unlikely to benefit from the conditions that supported its rally since June 2006. The S&P 500 climbed 10% between then and 19 July, when it reached a record, and again reached new highs on 5 October and 9 ­October. In February 2004, Faber had said stocks in Brazil and Argentina were expensive because investors were overestimating China’s demand for ­commodities. Brazil’s Bovespa index has since more than doubled, while Argentina’s Merval Index has gained about 90%.